NAPLES, Fla. — The national law firm of Quarles & Brady LLP today announced that Jennifer J. Nackley, a Partner the firm’s Naples office, will receive the 2017 Leadership Award from the Legal Aid Service of Collier County. Nackley will be presented the award at the Ninth Annual Barrister’s Bash on April 27, 2017, in recognition of her years of service in championing Legal Aid and its mission. Nackley was Quarles & Brady’s Naples Pro Bono Coordinator for over 10 years, during which time the firm was named as Law Firm of the Year by Legal Aid. She also served two terms on the Board of Directors for Legal Aid Service of Broward County, the parent of the local organization. In addition, she has undertaken the representation of multiple pro bono matters, participated in Wills for Heroes and Legal Aid Clinics. Nackley practices in the Estate, Trust and Wealth Preservation Group at Quarles & Brady. Her practice focuses on estate planning, probate administration and guardianship matters. She counsels clients on a full range of matters, including the minimization of estate, gift and generation-skipping taxes. Nackley earned her law degree from the Syracuse University College of Law (Dean’s List) and her undergraduate degree from St. John Fisher College (Dean’s List). 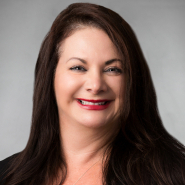 In addition to her extensive community involvement with Legal Aid, Nackley has served as President of the Cancer Alliance of Naples Inc. and is currently an honorary member of the board.